I choose only my preferred Xmas tree decorations to be taken out of the storage. The boys smartly found a way to get to the bling bling stuff they love. 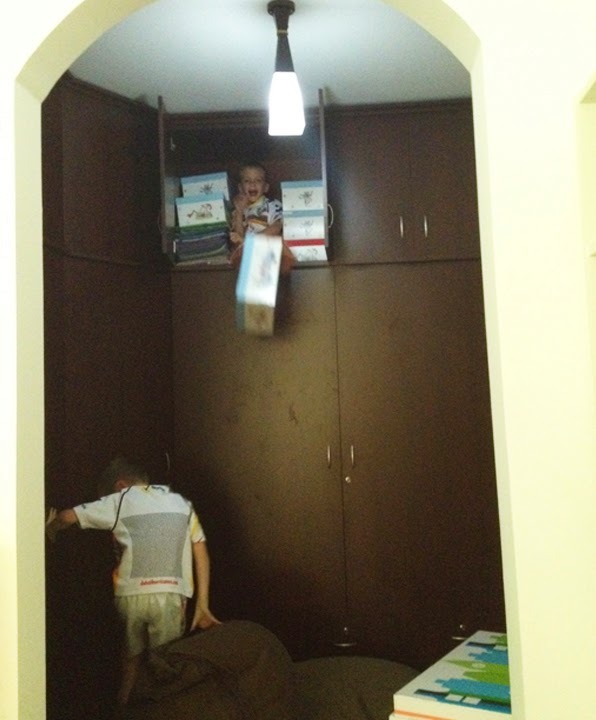 We never thought they would be able to reach the boxes with hidden treasures, till their 5 year old sister walks down the stairs with a hidden gem. We rush upstairs and this is how we found the boys! They are not the only monkeys in the family.